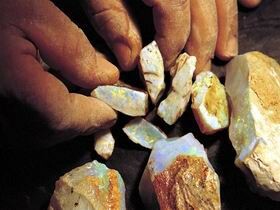 The Andamooka Opal Hotel Motel is situated in the heart of the Andamooka Opal Fields, where the World's Finest Opal can be found. We provide varying types of accommodation ranging from deluxe motel units to standard hotel rooms and budget single quarters for backpackers. The hotel is open seven days a week from 10am until late. The hotel has bar meals available seven days a week and is open for lunch and dinner.